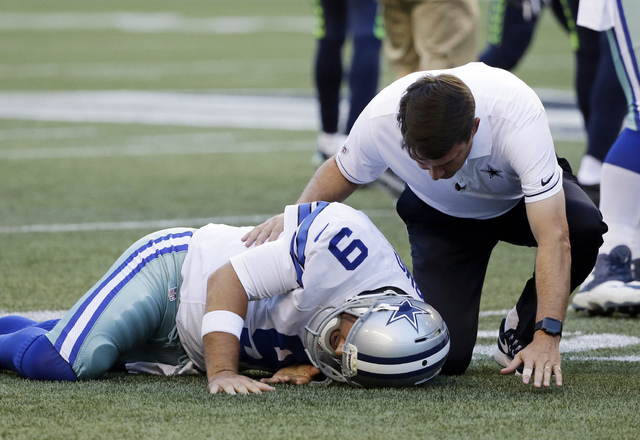 Dallas Cowboys coach Jason Garrett says quarterback Tony Romo has a broken bone in his back, and there is no timetable for his return. FRISCO, Texas — Dallas Cowboys coach Jason Garrett says quarterback Tony Romo has a broken bone in his back, and there is no timetable for his return. Garrett made the comments on Saturday during a conference call. He said an MRI revealed the break, but the coach did not provide further details. Asked if Romo would be back, Garrett said there’s no timetable but that the quarterback would play this season. 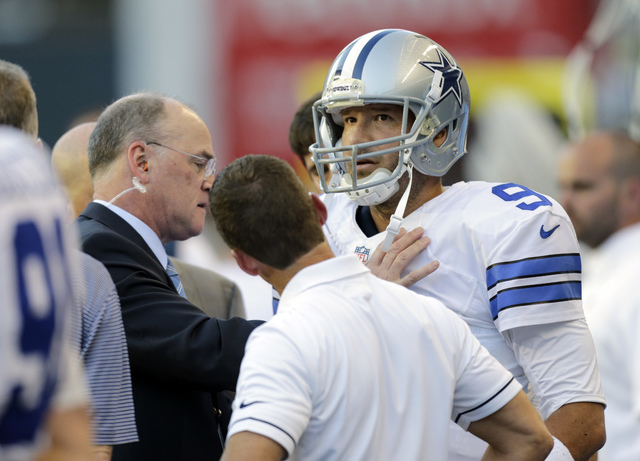 But CBS Sports NFL Insider Jason La Canfora reported, in a tweet, that Romo is expected to miss up to 10 weeks. Romo, 36, has had back surgery twice before. His latest injury occurred on the third play of Thursday night’s exhibition game at Seattle. He was hit by Cliff Avrill and was rolling in pain before taken off the field and replaced by rookie Dak Prescott. Later, Romo said he was OK. 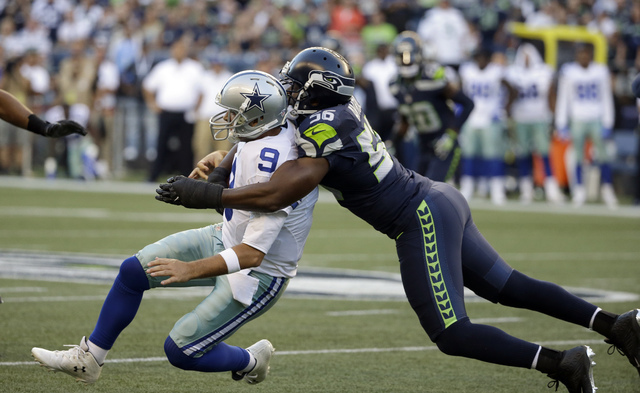 The Cowboys open the season Sept. 11 at home against the New York Giants.